Kendell Kauffeldt is the Samaritan’s Purse country director in Liberia. On April 13, 2014, if the earth tilts slightly on its axis, if there are freak weather phenomena, or if there are slight tremors in London, it’s not due to global climate change or a sign of the times. It’s because there will be a once-in-a-lifetime event happening. You might be asking yourself, “Why is he doing this insane thing that is for skinny athletic people who just can’t seem to find enough challenges in normal life?” Well, I asked that same question to myself today as I did a 7-mile training run, and the answer remains the same. 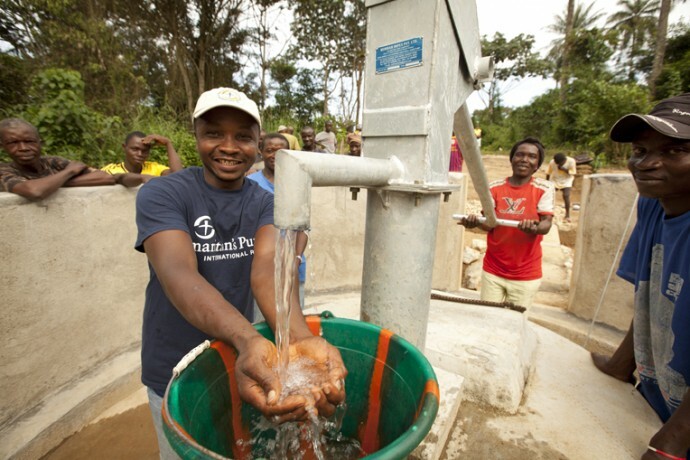 The team in Liberia is hoping to raise money for project such as this clean water one by running in the London Marathon. 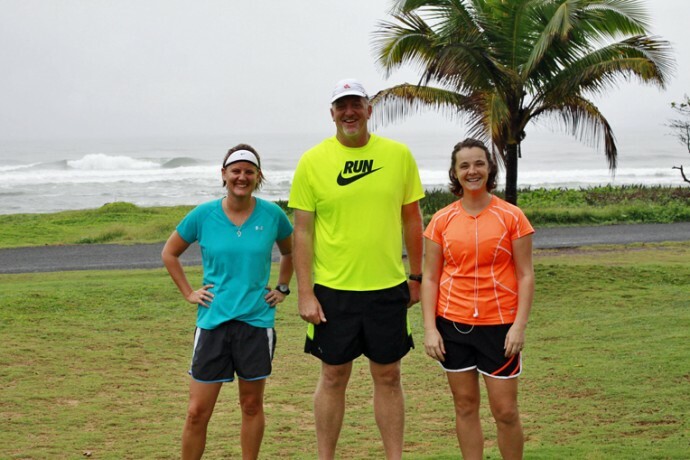 I’m running to raise money for the projects that Samaritan’s Purse is doing here in Liberia. My wife, two sons, and I have been working in Liberia for the past nine years, and I’m as committed to the vision, mission, and purpose of the organization today as I was the day I signed up for this assignment. The reason I took this job with Samaritan’s Purse here in Liberia was because as an organization, we’re committed to the eternal. We want to physically assist those we work with, but more importantly, we want to spiritually help them. Sustainable peace and joy can only be found through the love and transformation that comes from being in relationship with God through Jesus Christ. In my nine years of working here, I have seen lives, families, and villages transformed. That’s why I am running 26.2 miles in the London Marathon. I want to raise money so that more lives, families, and villages can be transformed. And that is where you come in. I want you to join me. I want you on my team so that you can be part of what God is doing in Liberia. I hope to post regularly and keep you informed of how my training is going. (That way you can pray for me. Honestly, I need your prayers. I’m praying that God will return before April 13, 2014.) In my posts I also hope to let you see into some of the work that Samaritan’s Purse is doing in Liberia. I’m also doing this race because good leaders are willing to take risks to challenge themselves to take on something that is out of their comfort zone but will have a positive impact towards their vision, mission, purpose, and objective. Taking risks takes courage. I have heard it said that “if you always do what you have always done you will always get what you have always gotten.” Researched risks will allow for growth, it will force you to read, it will humble you, it will cause you to rely on the strengths of your team, and it will strengthen you reliance on God. These are good things, and they only happen if a leader is willing to take risks. 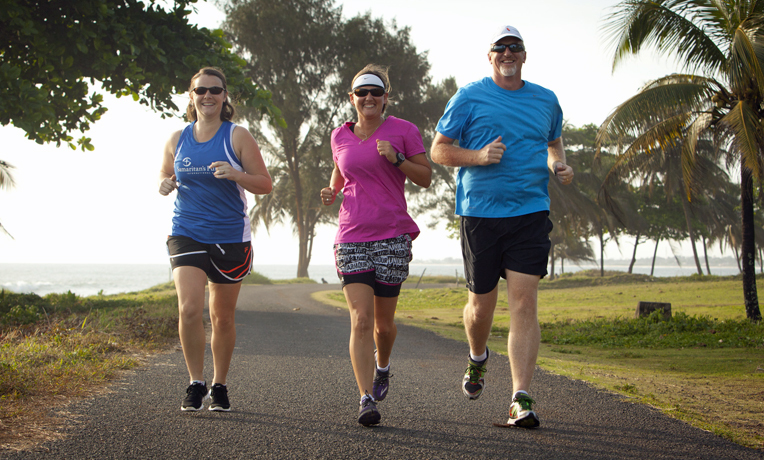 Kendall is running with fellow Samaritan’s Purse employees Joni (left) and Jamie (right). T.S. Eliot said, “Only those who risk going too far can possibly find out how far they can go.” (I’m not sure T.S. knew just how far the marathon is.) Yes, you may fail, but in life we need to be ready to fail, learn from our failures, and make the necessary adjustments. There are only two people I know of who have walked on water: Jesus (He had an advantage) and Peter. But Peter had to step out of the boat. So I encourage you this year to step out, take a risk, challenge yourself, and watch God grow you into the person and leader you never thought possible. I’m testimony to that. So that brings me to the end of my first ever blog post. But let me remind you that I need you to join my team. 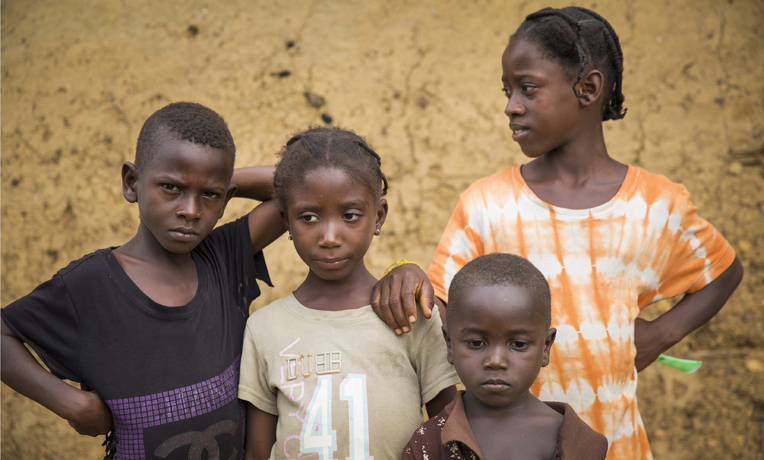 I’m doing the hard work; donate to the work the Samaritan’s Purse is doing in Liberia below. Run, cycle, swim, walk; for a purpose. Your efforts make a difference! Use your next athletic event to raise funds for the worldwide relief projects of Samaritan’s Purse.